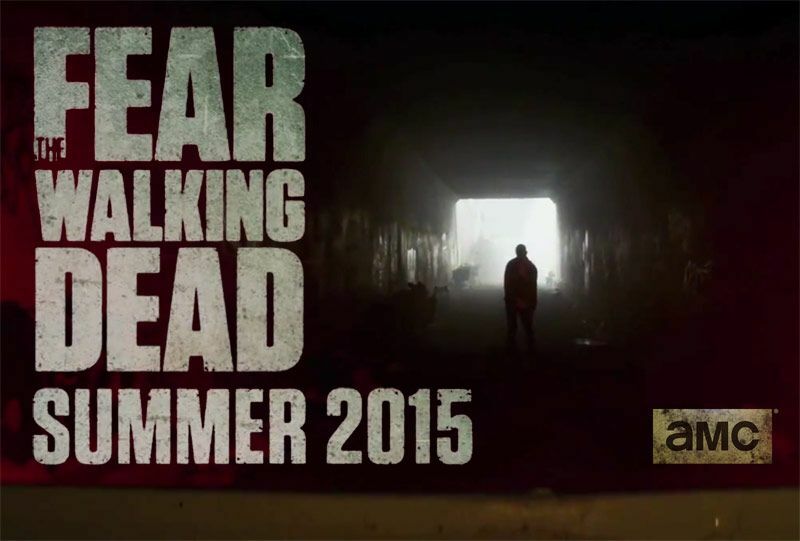 AMC premiered the first teaser for The Walking Dead’s companion series during Sunday night’s Season Five finale episode. The spin-off series officially titled Fear the Walking Dead is set to debut in late summer and will have at least two seasons. Though the clip runs a scant 15 seconds, it confirms two key plot details: the location (Los Angeles) and the initial timeline (the onset of The Walking Dead‘s critical outbreak). The show will star Cliff Curtis (Gang Related), Kim Dickens (Deadwood), Frank Dillane and Alycia Debnam Carey (The 100) as Los Angeles residents struggling to survive the zombie apocalypse. The series will be based in Los Angeles but it’s unclear if the show will actually be shot in L.A. The pilot will be penned by Dave Erickson and the “Walking Dead” comic book author Robert Kirkman.